On this page you’ll find lots of free Pioneer Crafts and Activities for kids! Great for learning about The Oregon Trail, Westward Expansion, Lewis and Clark, and Early America. We used these crafts alongside our Oregon Trail unit, as we made a Lapbook, and some File Folder Games too! 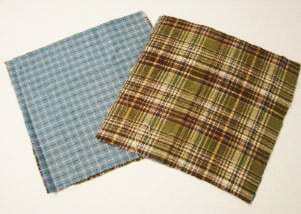 Children can make a yarn doll, a covered wagon, a quill pen, and sew a 6 square blanket. 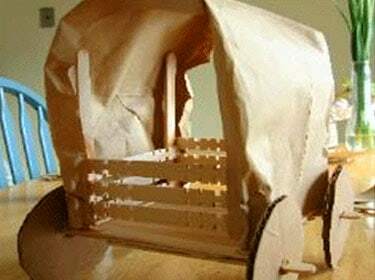 No need to purchase those expensive kits, you can make this wagon from supplies you have in your own craft closet. 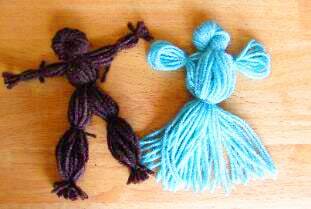 Yarn dolls are fun for kids to create, but they need a bit of help with the tying! Let them choose their favorite color, and follow results! This is a learning center you can print up and use with your students at the end of your unit. Use the provided quiz questions or make up your own based off your lesson plan. First one to Oregon wins! This lapbook is the perfect way to learn about Westaward Expansion. 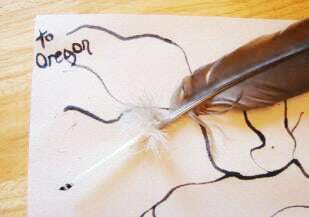 Children create a flier, build a checklist, keep a journal, chart the journey, learn about life on the trail, discover the landmarks along the way and more.